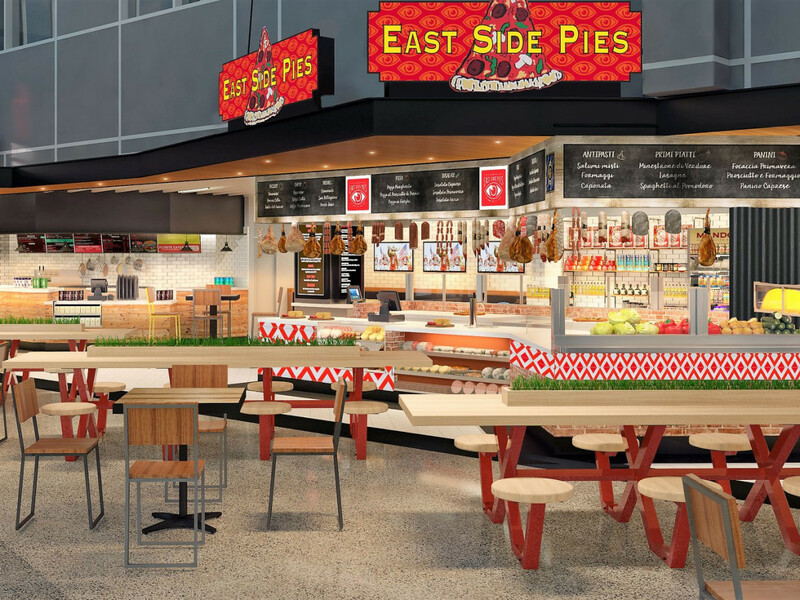 Austin-Bergstrom International Airport has cooked up some tasty food news, including the announcement of East Side Pies being added to ABIA’s menu of food court options. At the airport’s west food court, East Side Pies — whose thin-crust pizzas are served at three locations in Austin — will join Flyrite Chicken, Hat Creek Burger Co., and Amy’s Ice Creams in the reconfigured area across from Gate 12 (Southwest Airlines). Renovations are set to start in November or December, with the west food court scheduled to open in the spring of 2019. 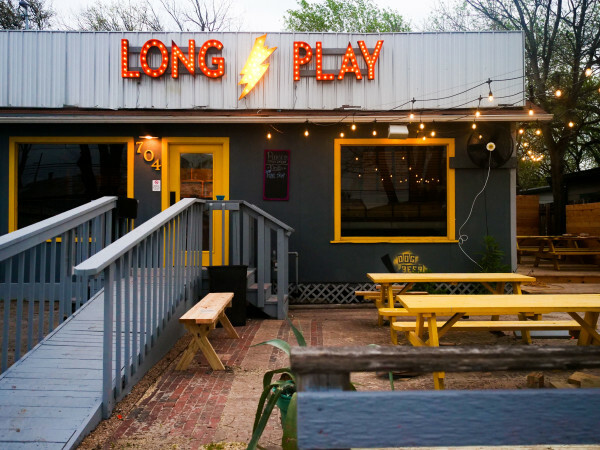 Amy’s already operates at the airport, while East Side Pies, Flyrite, and Hat Creek will be new arrivals. ABIA food and beverage vendor Delaware North is overseeing all of the food court changes. Meanwhile, three other ABIA newbies — Hippies & Hops, JuiceLand, and The Peached Tortilla, which dishes up Southern- and Asian-influenced fare, opened May 8 in the renovated east food court across from Gate 7 and Gate 8 (both used by Southwest). ABIA spokesman Jim Halbrook says this means “more local and innovative epicurean delights for our passengers.” Ruta Maya Coffee Co. also recently opened a second ABIA shop at Gate 5 (Delta Air Lines). As part of the airport’s nine-gate expansion, which is expected to be finished in the spring of summer of 2019, plans still are being finalized for a new food hall called Austin Kitchen. Occupants proposed, but not yet confirmed, for the food hall are Torchy’s Tacos, Nobel Sandwich Co., Sushi A-Go-Go by Komé, Hardie’s Fresh Foods, a Jugo juice shop, and an Austin Beerworks taproom called The Beer Drop. 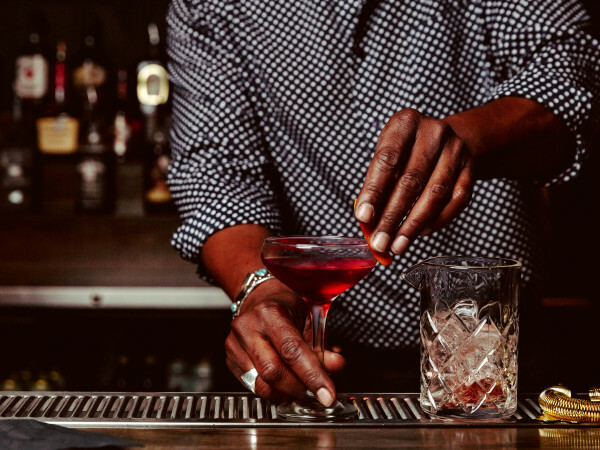 Aside from the food hall, locations of Austin eateries Parkside and 24 Diner are on tap for ABIA. Parkside and 24 Diner, along with the food hall, are part of an Austin City Council-approved package designed to beef up the airport’s food offerings. Another airport vendor — HMS Host — is tasked with carrying out that plan. Now that you’ve digested all of that information, you might be wondering how HMS Host’s new food hall will differ from ABIA’s revamped food courts. As explained by HMS Host spokesman Sean Matthews, food courts are commonly found at nontraditional dining spaces like malls and airports, with eateries clustered around one area of seating. On the flip side, each concept at a food hall usually is a mini-restaurant where “guests are typically able to grab a seat at the counter and watch their food being made right in front of them,” according to Matthews.